This past February, the Pennsylvania Supreme Court took a huge stance against gerrymandering by redrawing the congressional lines in a story that made national headlines. 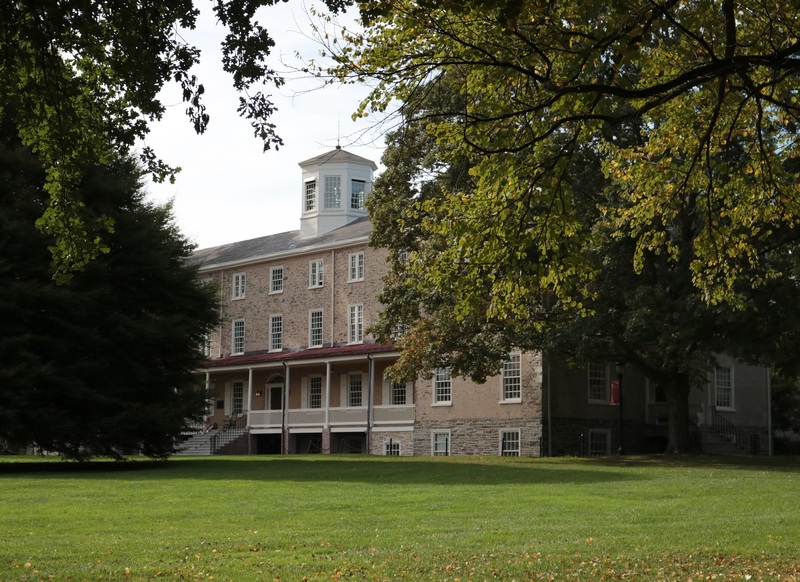 Haverford College, previously part of the 7th district, is now part of the newly formed 5th district along with the entirety of Delaware County. Unlike the old 7th district—a swing county—the new 5th district is likely a safely blue seat. To provide a bit of background, gerrymandering is when political parties draw districts lines—often wildly erratic—to their advantage. Zachary Oberfield, a Haverford political science professor, explains the motivations for parties to gerrymander. “They want to maximize their chances to win election/reelection,” he said. “But they also want their parties to attain the maximum number of seats.” Perhaps surprisingly, these two goals can often come head-to-head. On June 15, 2017, the League of Women Voters of Pennsylvania—a non-profit non-partisan group originally formed in the 1920s just before the 19th amendment was ratified—along with a group of Democratic voters filed a lawsuit against the Pennsylvania Commonwealth arguing that the 2011 maps discriminated against Democratic voters and thus violated the state constitution. The Pennsylvania Supreme Court ruled in the plaintiff’s favor and gave the Pennsylvania General Assembly a deadline of Feb. 15 to redraw the district lines and garner Governor Tom Wolf’s approval. However, the proposed maps, drawn up by the Republican-led General Assembly, were shot down by the Democratic governor. As a result, the court itself stepped in and—under the guidance of Stanford Law Professor Nathaniel Persily—designed new maps to be used in 2018. However, not all members of the Haverford community feel positive about the Supreme Court’s involvement. Speaking on behalf of the College Republicans, Joseph Weisberg ‘21 expressed his disapproval over the Supreme Court’s decision. “While we recognize issues with the old map, particularly of our district, we find that the Pennsylvania Supreme Court’s activist majority took political matters into its own hands,” he said. Weisberg said that he believes the new map is strongly partisan. After all, as explained by a recent New York Times feature on the new district lines, “Democrats couldn’t have asked for much more from the new map. It’s arguably even better for them than the maps they proposed themselves. Overall, a half-dozen competitive Republican-held congressional districts move to the left, endangering several incumbent Republicans, one of whom may now be all but doomed to defeat, and improving Democratic standing in two open races.” By emphasizing partisan balance in congressional district maps, the very geographically polarized Pennsylvania leans more blue than when maps are drawn when remaining partisan blind. “The Supreme Court offered a more partisan map than the partisans themselves,” Weisberg said, referring to the Times’ statement on the Democratic legislature’s proposed redistricting maps, which were submitted while the General Assembly was finalizing its plans. Frindt disagrees with Weisberg. “No matter what a new map would help Democrats this year because of how gerrymandered the old was against them,” he says. “[Yet] even with this map I believe there is still a slight Republican bias because of the geographic distribution of each party’s voters,” he continued. After the census in 2020, the congressional district lines in Pennsylvania will once again be at the mercy of the General Assembly for the 2022 elections. Frindt said that he hopes district lines will be drawn by an independent citizens commission in the future. “Putting citizens in charge of redrawing the maps both for Congress and for the state legislature minimizes the ability for either party to claim that the process is biased in favor of one party or another and ensures that the only considerations that are taken are those that fit with standard fair redistricting criteria: creating compact, geographically continuous districts that minimize any splits of counties, municipalities, and townships and puts together areas of common interest,” he said.